My name’s Jennifer Frost. I’m the mother of 1 cheeky girl and 1 naughty boy (3 and 5 years young), currently living in Thailand, and working as a private English teacher and tutor. 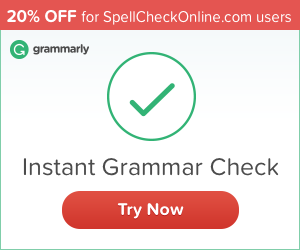 My husband is a programmer and he was so kind to create this grammar and spell check website for me and my students here in Thailand. It offers a free, safe, and secure online tool to proofread any English text with a simple “Copy & Paste”; this was the basic idea from the start: to keep it free and simple to use. I hope you enjoy this website and I wish you a “happy text checking”!